Paul has worked at Bruce Short Solicitors for a number of years and is the law firm’s Client Relations and Compliance Partner. 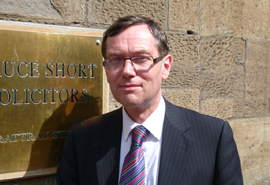 Paul specialises in Criminal Law matters and regularly conducts trials throughout the whole of Scotland at Summary and Solemn level. Paul can also act as a Notary Public.